Sakha Republic (Yakutia) has rich mineral resource potential, much of which has yet to be put to economic use. Full benefit must be derived from this strong competitive advantage, and doing so is a top priority for the republic’s government, as it creates conditions to facilitate development. Infrastructure projects are central to accelerated, qualitative change to the structure of the republic’s economy, and in the coming years they will be of exceeding importance. Over the past five years, more than RUB 42 billion has been invested in the construction of power industry facilities in Yakutia, including money from the federal and republic governments and private investment. Large-scale power projects are intended to support reliable operation of the Eastern Siberia-Pacific Ocean (ESPO) oil pipeline. New power transmission lines (PTL) will ensure the quality and reliability of power supplies to remote areas of the republic, particularly those designated as growth points on the investment map. Electricity grid restrictions will be removed on the Lensk Industrial Hub, Eastern Gas Program facilities, and the ESPO. One major event in 2011 was the launch of construction of major grid facilities: the 220 kV Chernyshevsky-Mirny-Lensk-Peledui OHTL to supply power to the Lensk Industrial Hub and the ESPO system; a 220 kV OHTL connecting Nizhny Kuranakh to Oil Pumping Station No.16; and the 220 kV Prizeisk-Elga OHTL connecting with the Elga 220 kV substation. Under the Strategy for Development of a Unified Energy System for Sakha Republic (Yakutia) through 2030, funds from the federal government will be used to complete the first stage of the project linking the Neryungri GRES-Nizhny Kuranakh-Tommot-Maiya PTL with Pumping Station No.17 to supply power to facilities of the Aldansk Industrial Hub and the ESPO. Another major project is the linking of the Suntar-Olekminsk PTL with substations in the city of Olekminsk and ESPO Oil Pumping Station-14. Under the umbrella of the Integrated Development Program for Southern Yakutia, technical designs and cost estimates should be completed in 2012 for the Kankun HPP, along with the plan to build a 1,330-km power line with voltage ranging from 110-500 kV (seven substations). The project is to be financed from the Russian Federal Investment Fund. Russian companies are investing significant funds in infrastructure development. UES Vostok has launched construction of GRES-2 power station in Yakutsk. Construction of the first stage should commence in 2013 and be completed by 2015. The government of Yakutia is co-financing the project to the tune of RUB 1 billion. Federal Grid Company is building a 220 kV OHTL to supply electricity to the Elga coal field, and Yakutskenergo is renovating the 220 kV VGES Aikhal-Udachny OHTL (third and fourth stages), a 110 kV substation at Lower Bestya, and a 110 kV OHTL connecting Maia with the Lower Bestya. These efforts are laying a solid foundation for developing natural resources in remote areas of the republic. It is common knowledge that the RFE has extensive oil and gas resources. Yakutia holds 2.5 trillion cubic meters of explored and appraised C1+C2 reserves of natural gas and 436 million tons of C1+C2 reserves of crude oil. Oil is currently produced only in western Yakutia at the Talakan, Irelyakh, and Middle Botuobinsky gas condensate fields; the Alinsky oil and gas field; and the North Talakan oil field. The launch of the Taishet-Skovorodino section of the ESPO pipeline system in Yakutia enabled local fields to increase crude production from 300,000 tons in 2007 to 5.4 million tons in 2011, and output is projected to increase to 6.9 million tons in 2012. Natural gas is produced in western and central Yakutia. The republic’s gas production and transportation systems include the gas transportation system of the Central Energy Resource Area (spanning the Middle Vilyuy and Mastakhsky gas condensate fields) and the gas transportation system of the Western Energy Resource Area (which includes the northern bloc of the Middle Botuobinsky oil and gas condensate field). To help implement the Plan for Integrated Development of Production Factors, Transportation and Utilities Sectors of Sakha Republic (Yakutia) through 2020 and gas companies’ investment programs, the Yakutia government intends to support projects designed to increase natural gas consumption. They include centralizing the gas supply for Yakutia towns and cities, launching production at large gas fields, and organizing transportation of natural gas from these fields to consumers outside Yakutia, as well as building regional gas processing and chemicals production facilities relying on natural gas. The Yakutia government is running projects to organize gas processing facilities as part of its broader plan to establish the Yakutian gas production center under the Eastern Gas Program and the Integrated Development Program for Southern Yakutia. These plans envisage construction of gas processing facilities to extract and store helium and other valuable components of natural gas. Thee projects are scheduled for launch after the Chayanda-Khabarovsk gas pipeline system is put in place under the Eastern Gas Program in 2016. In the oil sector, several major projects are under way to increase the volume of crude pumped through the ESPO (these projects are run by Russian oil pipeline major Transneft and VostokNefteProvod LLC). Hydrocarbon collection facilities and other infrastructure components are being built at Surgutneftegaz’ Talakan, Alinsky, North Talakan and Eastern Alinsky fields and the central bloc of the Middle Botuobinsky oil and gas condensate field (operated by Taas-Yuriakh Oil and Gas Production LLC). There are plans to build a 169-km oil pipeline from the Middle Botuobinsky field to the ESPO near Lensk (a Taas-Yuriakh Oil and Gas Production LLC project). The cost of this connecting pipeline is estimated at RUB 20 billion. Gazprom Neft Shelf LLC will explore and Gazprom Production Noyabrsk LLC will operate the oil-bearing sections of the Chayanda oil and gas condensate field on behalf of Gazprom Invest Vostok LLC. The statement of intent to invest in the infrastructure facilities of Chayanda field envisages more than RUB 213 billion of investment in preparing for developing the oil-bearing sections of the Botuobinsky formation. Construction of facilities is scheduled for September 2012-September 2014 for launch in October-November 2014. In the gas sector, large-scale projects have been started or are in the pipeline. The largest project envisages construction of the Yakutia Gas Production Center based on the Chayanda deposit as part of Gazprom’s Eastern Gas Program. The estimated amount of required investment in field development and preparation and building gas processing and helium storage facilities exceeds RUB 444 billion. Construction is scheduled for November 2013 through October 2016. Construction of a 2,800-kilometer gas pipeline linking the Yakutsk Gas Production Center with Khabarovsk is expected to take place at the same time, with investment projected at more than RUB 280 billion. The pipeline is scheduled to come on stream in 3Q2015. Yakutia Fuel and Energy Company (a subsidiary of Summa Group) has an investment program to increase production and processing volumes of gas condensate, including production and marketing of motor fuel. The estimated cost of the program is RUB 29.2 billion. Preparation for the construction of gas condensate processing facility is to start in 2012, with the facility relying on Petrofac technology to process up to 100,000 tons of condensate per annum. Yakutia has been operating and financing a program to supply gas to local cities and towns. SakhaTransNefteGaz is running several investment projects to supply gas to regional consumers at an overall cost of RUB 4.1 billion. The program envisages building gas collection facilities at gas fields and expanding the Yakutsk Gas Processing Plant. Eventually, it should become the basis for a small-volume LNG production facility. This is a pilot innovative project for Russia, with LNG going into the gas supply for residential consumers and also as engine fuel. SakhaTransNefteGaz intends to do a feasibility study of larger-scale LNG production in Yakutia to supply regional homes and export some of the output. Gazprom will soon launch a feasibility study and design work for a gas-based chemical production plant in Lensk and a gas processing plant in Aldan within the broader framework of the Integrated Development Program for Southern Yakutia. Development of Yakutia’s coal industry is also following the guidelines of the Republic’s strategy documents: the Plan for Integrated Development of Production Factors, Transportation and Utilities and the Energy sector of Yakutia through 2020 and the Integrated Development Program for Southern Yakutia. There are plans to create a multi-sector industrial zone in the RFE based on South Yakutia’s natural resource potential and relying on development of the transportation and electric grid infrastructure in the region. These plans can only be implemented with support from the government and large private investors. The South Yakutia coal fields have hundreds of millions of tons of estimated reserves, and development projects envisage mining these reserves for dozens of years. Yakutia’s largest coal miners are Yakutugol Holding Company and Kolmar Group. Yakutugol holds licenses to develop the Neryungri open-pit mine, the Elga coal field, and the Kangalass and Dzheriki-Khain coal fields. The company’s largest project involves development of the Elga coal field, one of the world’s largest greenfield deposits of coking coal, with about 2 billion metric tons of coal in reserves and as much as 40 billion tons potentially in adjacent areas. Implementation of this project will enable Yakutia to boost coal output to 27 million tpa, and after 2020 completely substitute production declines at the RFE’s largest open-pit mine, Neryungri. Kolmar LLC has been working for several years on several large coal-mining projects, including projects falling under the umbrella of the Southern Yakutia development program and the project to develop the Southern Yakutia Coal Field. Kolmar holds controlling stakes in companies that mine, refine, and market coal to domestic and international markets (including Neryungri Coal, Dolguchan LLC, and Yakutia Coals-New Technologies). Construction of the Ingalin coal complex is in the active development stage (operated by Yakutia Coals-New Technologies ZAO); this includes building a 2.75 million tpa mine and a 3.0 million tpa refinery capable of producing 1.9 million tons of coke concentrate per annum. Construction of the coal complex is scheduled for completion in 2013, reaching full capacity in 2015. Yakutia is the Russian leader in diamonds gold, tin and antimony production. Yakutia has 82% of all Russia’s diamond reserves, 17% of its gold, 61% of the uranium, 82% of the antimony, 28% of the tin, and 6.2% of the iron ore. Yakutia also has significant reserves of rare earth elements, silver, lead, zinc, and other elements. To sustain its diamond production, ALROSA has launched Internatsionalny underground mine, and completed the launch facility of the underground mine on Mir diamond pipe, as well as Stage 2 of the second launch facility at Aikhal underground mine. The company is financing construction of new underground mines at the Udachny and Internatsionalny pipes. The company is investing its own funds in these projects. Investment projects to develop the Nezhdaninskoye gold deposit and the Kuranakh deposits stand out in the gold mining sector. These assets are owned by Polyus Gold, the Russian gold mining champion. The company plans to invest about USD 700 million on developing these gold deposits in 2011-2020. Yakutia is the most promising region in Russia in terms of uranium reserves, with 341,000 tons, one of the world’s largest reserves. The rocks of Yakutia also hold one of the world’s biggest stores of niobium, a rare earth element (17.75% of global reserves), which is unique in the content of useful minerals (up to 14%). Yakutia also holds large deposits of iron ore and apatite. Comprehensive development of Southern Yakutia includes design and construction of the Elkon ore refinery connected with the Elkon group of uranium and gold deposits. Plans envisage construction of five mines producing up to 3,000 tons of uranium in chemical concentrate, reaching full design capacity of 5,000 tons by 2020, as well as construction of the Tayozhny and Tarynnakh ore refineries associated with the Tayozhny, Dessovsky, Gorkitsky and Tarynnakh iron ore deposits. Also in the project pipeline is construction of the Seligdarsky ore refinery and chemical extraction plant associated with the eponymous apatite deposit. Investment in transportation in Yakutia has increased more than 300% over the past five years to RUB 95.9 billion. Construction of a railroad connecting Berkakit to Tommot and Yakutsk is one of the most capital intensive projects in the industry. The project’s main event took place in 2011, when a golden spike was driven into the railroad bed at Lower Bestya Station, completing construction of 439 km of track. In fact, Lower Bestya is the mid-point of a larger railroad project: Yakutia is working with the federal government to begin construction of Stage 2 of the Berkakit-Tommot-Yakutsk railroad to open traffic from the Right Bank Lena Station to Yakutsk River Port with a mixed-use railroad/highway bridge across the Lena at Yakutsk as part of the federal program Development of Russia’s Transportation System in 2010-2015. Construction resumed in 2008 on the access railway between Ulak and Elga to connect the Elga bituminous coal field with the national rail system. Stage 1 of construction is complete, with 294 km of track laid and 76 bridges built. As part of the investment project for comprehensive development of South Yakutia, technical designs and detailed cost estimates for four access railroads and two auto routes to mining sites have been completed. Yakutia is paying particular attention to building a network of highways as the foundation for its transportation system. Federal interstate highways Lena, Kolyma, and Viluyi, as well as regional highways Amga, Kobyai, Anabar, Umnas and Yana are under construction or undergoing upgrades. Last year, the Kolyma interstate highway opened for traffic from Yakutsk to Magadan. The aviation sector is undergoing steady development, as air traffic is essential, given the great size of Yakutia’s territory. Regional airlines are acquiring new aircraft every year, led by Yakutia Airline, which operates over 20 aircraft and flies to eight RFE regions. A new air terminal complex capable of handling 700 passengers an hour opened at Yakutsk Airport in June 2012, shortly before the V “Children of Asia” International Sports Games. Runways are under reconstruction at several regional airports. Development of Yakutia’s natural resource wealth is expanding. The rich mineral resource base of the Sakha Republic (Yakutia) determines to a considerable extent the direction of economic development in the entire Russian Far East, creating a solid foundation for the rising standard of living for the region’s people and helping to ensure prosperity throughout Russia. Development of processing industries, production of competitive export-oriented goods, and expansion of the republic’s transportation and energy infrastructure will serve to strengthen Russia’s economy and reinforce its geopolitical integrity. 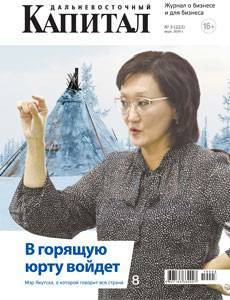 Sakha Republic’s expanded role and geopolitical importance for the RFE and all of Russia has been recognized at the federal level. The republic is a leading producer of diamonds, gold and coal. Projects are getting under way to develop oil and gas resources, and preparations to launch development of greenfield deposits of uranium, silver, iron and polymetals have begun. The republic boasts a strong mining industry, with roughly 250 large and medium-sized companies, including several global majors, developing more than 500 sites. The long-term strategy document Integrated Development Plan for Sakha Republic’s Production, Transportation and Energy Sectors through 2020 is synchronized with the development strategies of major Russian industrial companies and is part of the overall Development Strategy for the Russian Far East, Buryatia, Transbaikal and Irkutsk Region through 2025 and the Development Strategy for Russia through 2020. Structural changes in the economy in accordance with the Strategy involve technical upgrades in the key sectors (diamond, gold and coal mining), as well as the creation of new sectors and the development of infrastructure to keep pace with growing demand. Development of the republic’s oil and gas complex will make it possible to create new oil and gas production, transportation and refining centers in Eastern Russia and supply natural gas to Southern Yakutia and the Amur, Primorsky, Khabarovsk and Jewish Autonomous regions. Implementation of grid development projects in the republic will help Yakutia’s centralized electricity distribution grid unite regions of Siberia and the RFE. This will also help to fill the capacity of the RFE’s main railroads, highways and ports, with new transportation links to other Russian regions also emerging. Data on the economic and social development of the republic demonstrate that some key elements of the Development Plan through 2020 were implemented in 2007-2011, with others currently moving forward ahead of schedule; in some areas the actual results have exceeded forecast levels. The republic’s Gross Regional Product (GRP) doubled over the past five years, and the 2011 industrial output index increased by 125% compared to 2006. The Development Plan through 2020 envisages implementation of 160 investment projects with a combined cost of over RUB 6 trillion. At present, 83 projects worth RUB 2.4 trillion are under way. Investment in fixed assets rose by 70% to RUB 765.8 billion in 2007-2011, or 33% of the total required for implementation of the projects planned through 2020. Implementation of the plan will give a major boost to the regional economy. By 2020, Yakutia should become a region of sustainable economic growth, with GRP in excess of RUB 1 trillion and expansion of 180% in real terms compared to 2005. Expanding Russia’s export capabilities and ensuring its national energy security, as well as enhancing the investment appeal and improving the business climate in the RFE and creating conditions conducive to population inflow into Eastern Russia should all help address the nation’s priority geopolitical objectives of strengthening the economic security of the RFE and Russia as a whole.